Please teach me how to cry again. I need to feel the relief of my soul by releasing the intense feeling that has been trapped within my physical attributions. I want to cry again for me to know that I still have a humane emotion that has been programmed in every human’s heart. Let me cry again. I want to feel the freedom not of my physical self but of my spiritual self. I want my soul to be emancipated again as I pour down the heavy atmosphere that resides deep within me. I need to cry again. Let me have this chance of knowing that my heart hasn’t been hardened by time. I need to know that I am still capable of releasing the tension that lurks within my innermost self. I have to cry again. I have to... I really have to. Because as of now, I see myself as a person that is physically numb but emotionally hurt. A person, who has been crushing himself internally and yet, capable of standing still. Sunday (September 19) became to be one of those days that I should not forget for my entire life. Why? Well, it's not because of being declared as a holiday or something. The only valuable reason is that two articles (one includes my opinions and insights while the other includes our photo) that were written in two different newspaper brands were issued on that particular day. Names of those newspapers are Manila Bulletin and The Manila Times and both of them are being circulated in a national scale. The article is about the launching of Youth Leaders for Knowledge and Development (YLKD), which I'm a part of. 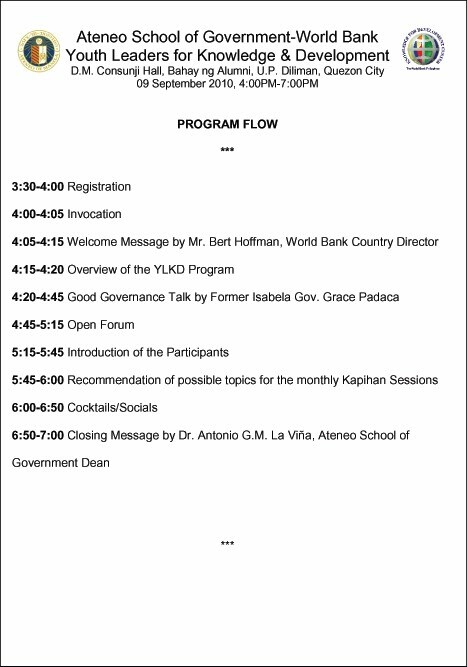 To give you a very very short background, YLKD is a joint project of Ateneo School of Government and Worldbank's knowledge for Development Center. Now, I don't want to be a spoiler here. So, without any hesitation, let me share with you the two articles that I'm talking about. Former Gov. Grace Padaca with some of the youth leaders. of leaders who will be able to help propel our nation out of poverty and into lasting development. Unlike other Asian tiger economies like China and Japan, the Philippines is very blessed to have a very young population wherein majority are aged under 40 years old. In the last elections we have already seen glimpses of the Filipino youth’s impact in our society, and if harnessed and trained properly, these young Filipinos will eventually decide the future of our country. With these in mind, the Ateneo School of Government (ASOG) and the World Bank’s Knowledge for Development Center recently selected more than 50 Filipino young leaders who will take part in the inaugural Youth Leaders for Knowledge and Development program. In this program, these young leaders, who are either college students or young professionals, will be given the unique chance to interact with accomplished leaders in our country. During these so called “kapihan” sessions, the young leaders will get the chance to ask questions, raise issues and share insights with the current decision makers of our country. Among those that are being lined up for them to interact with are Ramon Magsaysay Awardees such as DILG Secretary Jesse Robredo and Benjamin Abadiano of Assisi Foundation, as well as successful social entrepreneurs such as Fr. Xavier Alpasa, S.J., founder of Rags2Riches. Through these interactions, the organizers of the program hope that these young Filipino leaders will learn how it is to become effective, ethical and empowering leaders for our country. During the launching of the program held last September 9, 2010 at the University of the Philippines’ Bahay ng Alumni, the World Bank’s Matthew Stephens congratulated the participants for being chosen among the hundreds who applied to be part of the program. Stephens cited the importance of developing good leaders in our country as a means towards making our current government institutions more responsive to the needs of the ordinary Filipinos. He cited the experience of Naga City, wherein then Naga City Mayor Jesse Robredo was able to curb corruption and transform Naga into the premiere city of the Bicol region. Stephens said that if many of our local government leaders were like Robredo, then our country would be able to easily become one of the leading countries in Asia. To give the keynote address to the participants, the organizers invited another Ramon Magsaysay Awardee, former Isabela Gov. Grace Padaca. Padaca exhorted the participants to go out of their way to help promote good governance in our country. She also shared her experience of going against all odds including that of defeating a 40 year old political dynasty just to be able to be of service to her fellow Isabelinos. For those who may not know, Padaca was a victim of polio at an early age. She continues to need crutches just to be able to walk. During her six years as governor of the second largest province in the country in terms of land area, she shared that she was able to help increase the income of farmers in the province as well as help lead the\ fight to protect the Sierra Madre against illegal loggers. Padaca also explained to the participants that there is an urgent need for them to continue to support and help good leaders in our country especially those who are currently in government. She shared that without the necessary support, these leaders may eventually be swallowed by the corrupt system and we will only be left with government leaders whose only interest is to enlarge their personal bank accounts. To cap the event, the ASOG’s Dr. Antonio La Viña shared with the participants the importance of developing new ideas and innovative solutions to solving our current social problems. He cited the growing trend towards the use of technology as well as social networking sites in helping promote greater transparency and accountability in our government. Moreover, he emphasized the ASOG’s continued thrust towards developing a new generation of Filipino leaders who will bring about the necessary reforms that are needed in our country. The first kapihan sessions for the participants will begin this coming October and will be held at the World Bank’s Knowledge for Development Center in Pasig City. Harvey S. Keh is director for Youth Leadership and Social Entrepreneurship at the Ateneo School of Government. Comments are welcome at harveykeh@gmail.com . We call them the hope of our country, the future of our nation. But are the Filipino youth today ready to tackle the diverse and overwhelming issues of our country? That seems to be the case, if one hundred outstanding youth leaders are to be our standard. In a simple ceremony, 48 young Filipino champions gathered together as the World Bank and the Ateneo de Manila University School of Government (ASoG) launched their Youth Leaders for Knowledge and Development (YLKD) program on September 9 at the University of the Philippines in Quezon City as part of their ongoing partnership for Philippine development. Approximately 100 students and young professionals were chosen to take part in this yearlong program that will see them meeting and interacting with our country’s leaders in different fields, learning from each other, and bridging talents for development. “We wanted young leaders to develop their skills early on to benefit our country today and in the near future,” Harvey Keh, director of the Youth Leadership and Social Entrepreneurship program of ASoG, says. “We made sure to get participants from different backgrounds so they can really learn from each other,” Cristyl Senajon, program assistant for ASoG, says. The World Bank and ASoG first broached the idea for a youth leaders program after their successful knowledge-sharing event “Panibagong Paraan” was launched late last year. Government officials and civil society leaders shared ideas and areas for application to help make good governance work for the poor. This year, the two institutions decided to continue their partnership, extending their work to include the youth. Both the World Bank and ASoG realized that there remains a need to mainstream young people in discussions on knowledge on development, the youth being major stakeholders in the country’s future. “The youth have the idealism, the energy, and the drive to help create positive change in our country,” Keh further states. Thus, the YLKD program was born. Students and young professionals answered the call of the World Bank and ASoG for leaders to participate in the program. Applications came in from as far as the University of Cordilleras in the Cordillera Administrative Region to Ateneo de Davao University in Mindanao. “I applied for the YLKD program because it is a rare opportunity where young people who wish to make a good impact to society get to meet like-minded fellows as well as more established leaders,” Caranto says. These young people will be part of the YLKD program for one year. Each month, they will get exclusive invitations to coffee sessions with Filipino experts on governance, business, environment, civil society and other fields. Provincial participants will also get to interact with the speakers via videoconference. On September 9, half of the participants, mostly Metro Manila-based students and young professionals, met each other for the first time in an intimate cocktails ceremony to formally open the program. World Bank Governance Specialist Matthew Stephens gave the opening remarks for the event, presenting some challenges and opportunities that await young leaders. According to him, development remains a big challenge for the country because of corruption and this is where good leadership is crucial. “At the heart of good governance is good leadership. The role that the youth play in society now can be absolutely fundamental to leadership in the future,” Stephens had said. “It’s like attending Ramon Magsaysay Awardees’ lectures for one year,” Matthew Chua, an architecture graduate, commented. Former Gov. Grace Padaca of Isabela, a Ramon Magsaysay Awardee for Government Service, was the guest speaker for the event, encouraging the participants to harness their power for the good of the country. “[I call] on you to continue your efforts to study and understand what is happening in our country . . . I ask you, therefore, to care more, to get more involved especially in the task of enlightening our fellow Filipinos in your own spheres of influence and even beyond,” Padaca appealed to the youth in her speech. Padaca was the first speaker to address the participants, albeityour efforts to study and understand what is happening in our country . . . I ask you, therefore, to care more, to get more involved especially in the task of enlightening our fellow Filipinos in your own spheres of influence and even beyond,” Padaca appealed to the youth in her speech. Padaca was the first speaker to address the participants, albeit in a more formal manner. The program aims to build further awareness among the youth about national and local issues. “How can they help share knowledge and ideas on development if they don’t know what the problems are?” Keh says. Indeed, many of YLKD’s participants believe that the program will teach them the various issues of our country’s society, economy and more, as well as the ways that the youth can take part in the solution. “I’m looking forward to be inspired more, to be more aware of the different problems of our society, to learn effective ways on how to deal with those problems, and to create a network with my fellow young leaders in order for us to do a project that is much wider in terms of scale and the difference that it can contribute to the society,” Chua says. Asked what they thought are the issues that Filipino youth are concerned with the most, the participants gave varied responses, a reflection of their diversity and their personal advocacies. Flores believes that family still plays a huge role in the lives of Filipino youth. “We have to bridge the understanding or gap that the public sphere within which they evolve in impacts them and their families directly,” he says. For Veloso, governance is only one among several issues that the youth today care for. “I can see that youth leaders today are learning to become more critical thinkers,” she believes. Among the top issues given by the participants were education and employment, underscoring the root problem of poverty in the country. Because of the widespread poverty incidence in the country, education and employment remains two of the biggest national issues that the government needs to address. And the Filipino youth are starting to feel the effects, leading to either apathy or a passion to change things. He thinks that a lack of opportunities contributes to this kind of mindset of many young people. “It’s a sad thing because not all youth are given the chance to be exposed to the deeper kind of awareness for them to be actively involved in nation-building activities.” Given the right exposure and opportunity, the youth can be a force to reckon with when it comes to rebuilding our nation’s foundation. With young leaders like the YLKD’s youth participants, we are sure to have something to look forward to in the near future. They may be young and inexperienced in the ways of the world, but the experience that they do have already allows them the right to engage older and wiser leaders and work with them to build a better nation. "With young leaders like the YLKD’s youth participants, we are sure to have something to look forward to in the near future. They may be young and inexperienced in the ways of the world, but the experience that they do have already allows them the right to engage older and wiser leaders and work with them to build a better nation." 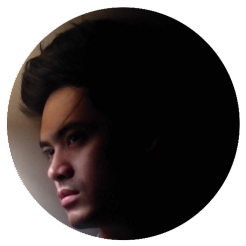 I've been a blogger for almost six (6) years now and with that given time span, I was able to blog and share my views on different topics and issues, which I think should be tackled and should be given much attention to. To date, I'm now managing 3 blogs and these are Whisper of My heart (this blog), Druoun X Images and Limelight and Beyond. As you may have noticed, my love for blogging grew in a way that I've created 3 blogs all having different genres. Well, blame "passion" for giving me such an idea. Blogging has able to capture my passion, which made me become a problogger or professional blogger. Being a problogger means that I have able to master blogging and have managed to step into the next level of blogging - making money through my blog. Yes, I am earning money just by blogging and it gives me a feeling of achievement,but this is not the primary reason why I blog and why I've created 3 blogs. My primary reasons are so simple: To spread different kinds of awareness and to provide positive influences. As a blogger, I want to take a stand in influencing other people around the globe in my simplest form - blogging. I'm very particular in influencing people because as a blogger, I have this rare ability of changing other people's thoughts and the way they see life as a whole. Through influencing, one would be able to alter an atmosphere depending on the kind of atmosphere one would want to produce - from worst to best. As for me, I'm taking my own stand in influencing (positive influence) other people in order to create an atmosphere that is more friendly and more acceptable to everyone. "You, truly are a select group of bloggers. For out of the millions of bloggers, you have chosen to stand up, step out and make a positive difference to the world and our fellow human beings." "While so many, say, "what difference does a word make?" You, like Martin Luther King, Nelson Mandela, Ghandi, Churchill, Kennedy & others recognize the power of a thought, a word and an action. It's where change always starts. And you know it." So if you happen to be a blogger just like me, try not to aim for having a money-generating blog. Instead, try to aim for having an influential blog! Because money may give you the wealth that you want, but influence can transform you into a kind of person that you should be. Is anyone of my readers happen to be a graphic artist, a marketing strategist or simply an art practitioner/ hobbyist? If there is, then I guess you'll be able to relate on this post. As you all know and as what I often share here in my blog, I'm an architecture graduate and I really do have a passion for contemporary arts. 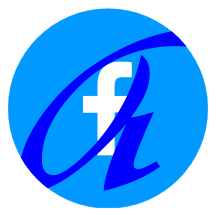 I have my own account in deviantart that is composed of different photo manipulations, web designs, web banners and posters, which I have personally made for some worldwide events, international contests or simply for other people. I really do have this great passion for art and that's the reason why I'm very thankful to know the basicsand advance keys of adobe photoshop, corel draw, 3d max, sketchup, and autocad. For some, it may sound funny how an architecture graduate is currently doing more photo-manipulated outputs than doing building plans and designs. But, if one would think about it in a deeper sense, it's not really that funny because I get to enjoy what I'm doing. Who knows, maybe later on, I'll be able to pursue this passion into a money-producing business. Well, to some up the story, as an art practitioner, who decides to turn his passion into a self-supporting business, needs to have good marketing strategy. And one of those marketing strategies, which I think is capable of delivering huge market, is by printing it on a wide banner. Yes, for now, that's the element that I really think would sell because people (both bystanders and art enthusiasts) may see the product in an actual scale and condition as compared to its electronic version. As I think of this kind of marketing strategy, the next question that I need to solve is the banner's quality. There are a lot of establishments that offer wide-banner printing this days and one could be confused on where to let their artworks be printed. Here in Manila alone, a huge number of establishments are competing with each other and are located just besides their competitors. It's really hard to know the difference especially if one is a neophyte in terms of this kind of field. But if one is really eager to have a good quality output, one would really be doing research as exactly what I did. As I surf the net, I happen to discover www.vinylbanners.com. It is a website that is dedicated to printing large vinyl banners that are durable and can stand up to weather and other outdoor conditions. For me, what the site offers is a good opportunity and investment for a business that I would need to pursue because of one of its quality - timeless. We, art practitioners, should really be keen in giving our masterpieces the right amount of quality and the "forever" factor putting in mind that what we're doing is not just for ordinary occasion but for a lifetime investment that would change the path of our life and career. In conclusion to this topic, we artists should not just entrust our mastepieces to some low-quality banners because our simple action may affect the quality and meaning of our art - that includes the way people see it as a whole. Shown above is the official program flow of Youth Leaders for Knowledge and Development, which will be launched on September 9, 2010. I really am very excited for this event knowing that I'll be participating in an event that provides knowledge in different areas of advocacy and a program that focuses on making a difference for the country through nation-building activities. This is it! This is my time to meet and greet great people, who have done great contributions to our society. Have a great day everyone! And, as much as possible, don't forget to do good deeds no matter how plain and simple it may be because that simple act may contribute a big difference to the lives of other people.